My interpretation of a sulphur-crested cockatoo when it screeches. 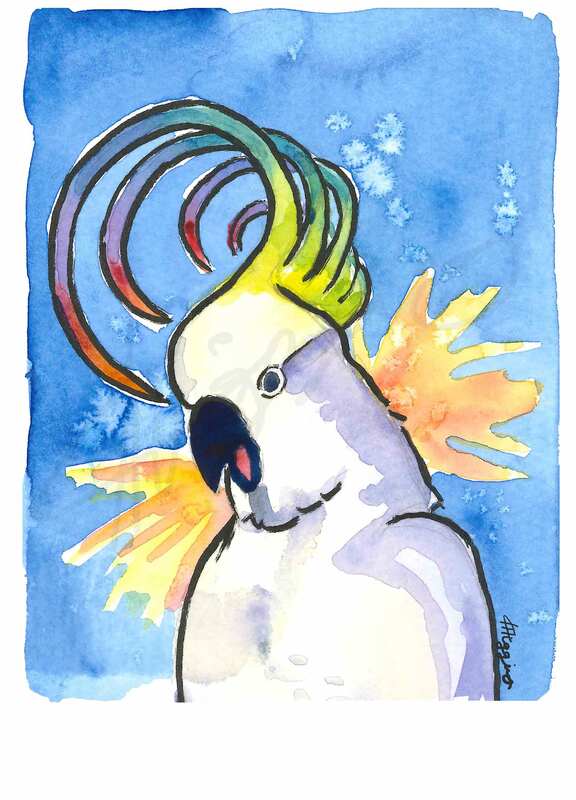 This is painted in ode to a particularly noisy cockatoo that likes to scream outside my window early on summer mornings. Painted on 90lb watercolour paper with Winsor and Newton paints.